Acronis True Image 2019 23.4.1.17750 is a complete, reliable local and cloud backup software, that protect your digital life from data loss, hardware failure, malware and any disaster, natural or man-made by being able to restore your information anytime, anywhere. It allows you to safeguard PCs, Macs, iOS and Android devices as well as your social media account, all platforms with one solution. It can backup your documents, photos, email, and specific files or folder, or even the entire disk drive, including operating system, applications, settings, and all of your data. Acronis protects the data of over 5 million consumers and 500,000 businesses in over 145 countries. Standard license is unlimited in time. Annual subscription means your license is limited for 1 year. You can renew your subscription and continue using the product. Acronis True Image subscriptions include cloud storage. By purchasing Acronis True Image Advanced subscription, you can select between a 250GB and 500GB cloud storage quota. Acronis True Image Premium subscription has 1Tb, 2TB, 3TB, 4TB, 5TB quotas. Having cloud storage unlocks additional features like storing your backups and archived data in cloud and accessing and sharing this data from anywhere anytime, as well as keeping your social networks content (photos, videos, liked pages and much more) safe by backing up your Facebook account. Acronis True Image 2019 Premium Subscription offer unique features including patent-pending Acronis Active Protection (only available for Windows) that ensure constant data availability even when faced with a ransomware attack. Acronis Active Protection uses industry-leading techniques to actively detect and neutralize ransomware attacks to protect your files, backups, and software from loss due to ransomware. Active Protection works in the background has minimal impact on system performance and doesn't conflict with antivirus software and Windows Defender. Furthermore, Premium edition also ensures that files are secure against intervention or alteration. Advanced algorithms encrypt data wherever it is located and while files are in-transit. Whether local or cloud, whether Windows or MacOS, whether iOS or Android or even Facebook backups, files are encrypted with military grade algorithms. And, if you use one Acronis account to protect multiple devices for a family, passwords and encryption will allow family members to protect files from each other within the same account. Supported Windows file-systems: FAT16/32; NTFS; Ext2/Ext3/Ext4, ReiserFS, and Linux SWAP (only for disk or partition backup/recovery operations). Supported Mac file systems: Mac OS Extended format (case-insensitive), FAT32, exFAT, NTFS (read-only). Supported storage media: Internal drives (HDD, SSD, RAID), USB drives, , FireWire drives, Thunderbolt, Network share, NAS, Acronis Cloud. Grab special Acronis deal valid at Official Acronis store! 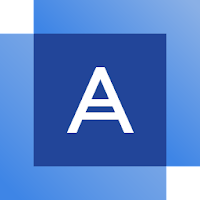 Disclaimer: Direct downloads for the lastest version of Acronis True Image 2019 23.4.1.17750 are provided by the official software's author, we can't guarantee safety, availability or download speed. Moreover, we don't and we won't provide any pirated/illegal versions or tools. We recommend you to avoid it as these methods can harm your device. If you like the software, buy it to support the developers. (We provide software discounts for many worldwide brands).